TEAM REPRESENTATIVES – Cyril ABITEBOUL (Renault), Toto WOLFF (Mercedes), Otmar SZAFNAUER (Racing Point Force India), Mario ISOLA (Pirelli). Q: Toto, third and fourth for your team in FP1 today but you’re unbeaten at this circuit, have won every Russian Grand Prix so far – so are you the favourites heading into this weekend’s race? Toto WOLFF: No. I never see ourselves as favourites. We were beaten in qualifying last year and Valtteri had a really brilliant started, towed the Ferraris and went into the lead. And how the season has been going this year, first of all, there’s no patterns any more, and I don’t want to put us in a favourite position, let’s see where we are tomorrow after qualifying. Q: Off-track we had another driver line-up confirmed today with Haas confirming its line-up. Is there any news concerning your young drivers, Esteban Ocon and George Russell? TW: No, not yet. We are still working on the alternatives, the remaining alternatives. I don’t expect there to be any news in the next week. We need to see how it all pans out at Williams and what we plan to do with Esteban long term and come up with a decision. Q: Otmar, speaking of Esteban. He was involved in that first-lap clash with Sergio in Singapore. Has there been any talks with the drivers since then? What’s the latest in terms of what they can do, in terms of racing each other? Otmar SZAFNAUER : Yeah, that was an unfortunate incident. We definitely spoke with them after. We analysed what happened and we’ll be speaking with them this weekend as well. Q: And what is going to be the protocol for your drivers going into races? 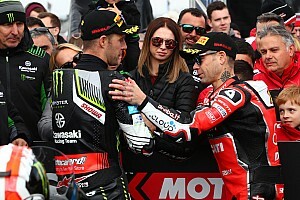 OS: It’s going to be no different to how it’s been – it’s just I think they forgot, so we’re going to remind them that they have to give each other enough room, especially on lap one and even leave margin for error. So, if something does happen, they don’t run into each other. We’ll remind them of that and show them how that can be done. Q: You’re making those calls as team principal now of Force India and you’ve been in that role for three races. Having got a good view of the picture of the team now, what do you think is a realistic target for the rest of the season? OS: Well, if we continue to do a good job and don’t crash into each other, I think realistically we should be targeting at least sixth in the Constructors’ Championship, which is attainable but not easy to do. I think above that it will take some luck on our part or some misfortune on somebody else’s part. Q: Cyril, Otmar almost rules himself out of the fight for fourth place – but who are your main threats for that fourth position, going into the rest of the season? Cyril ABITEBOUL: Well, I think there is no real change in relation to that. Haas, since the season start, since the pre-season tests, has been really quick, fast but couldn’t really crystalize that pace advantage in the early part of the season. They would be our fiercest competitors but, as Otmar is saying, they are coming back very quickly in the Constructors’ Championship. They’re quick, very quick on one lap. I think our car is still very competitive in race trim but we know we’re suffering a disadvantage in qualifying, which is obviously playing a very big role in our capacity to maintain our fourth position. So, it’s all about defending on Sunday what sometimes we’re not capable of doing on Saturday. Q: Your team ran Artem Markelov in the first practice session today, continuing the momentum of Russian drivers coming into Formula One. How do you rate Artem and his performance? CA: I think he’s done a very good job this morning. He’s not made any mistakes, first and foremost and we had a number of new parts on the car, so we would not have wanted to lose those parts, obviously. Good also on the procedures, and God knows there is a lot in terms of engine, aero test and so on and so forth. In pace, he was very decent, more than decent, I should say. Eight-tenths off Nico, obviously who’s got a great track record of being able to extract maximum performance, in particular from the softest compound we have this weekend: the hypersoft. I think Artem struggled a little bit by degradation of the tyres. That’s an area where he needs to work and learn – but I guess an interesting referential point for his future hopefully. Q: Mario, moving on to you. Cyril referenced the tyres there. We’ve got a step in the compounds, with the soft, ultrasoft and hypersoft but with a very smooth circuit here, what does it do for the strategic options at this track? Mario ISOLA: We decided to nominate the hypersoft here because it is a smooth track but with some characteristics you need traction, especially for Sector Three, you need a strong tyre, especially the front for Turn Three, that is a very demanding corner. Then it is up to them to find the right setup of the car to preserve the tyres. We know that it is an aggressive choice, same choice as Singapore but with completely different characteristics of the circuit. Therefore I can imagine they will manage the tyres during the race. This is something that is happening since the beginning of the year. It’s a sort of reaction from the teams to our decision to go softer and with more degrading tyres, and we will see. This morning, FP1, I believe was not really representative, considering that we had a lot of track evolution – so probably in the afternoon we have a better picture of delta performance and the level of degradation. Q: Pirelli has also been busy since the Singapore Grand Prix doing testing at Paul Ricard, looking ahead to 2019. So just how are preparations going for next season? MI: The test was very good. We had Ferrari, Mercedes and we were able to complete all the programme, so the construction is now decided, so we are supplying all the data for the new construction to the teams by the 1st of October – that is the deadline. We are working on some fine tuning of the compounds, because the target for next year is to nominate five compounds. The target is five compounds. We may need to homologate an extra compound, so six, but hopefully we stay on five. That means that we will provide all five compounds with the new construction in Abu Dhabi at the test that is planned for after the race, similar to last year, to give the teams the opportunity to have an idea of the 2019 product. Q: (Frederic Ferret – L’Equipe) Question to Otmar, Toto and Cyril. What are your thoughts about Russian companies investing in Formula One and motor racing and supporting Russian drivers? OS: We travel all over the world and it’s great to see many nations supporting their drivers. I think it’s natural that companies will support Russian drivers. I think it’s good for the sport. TW: Yeah, we’re seeing more Russian kids coming through the ranks. You can see them in go-karting. And if you look at even the small classes, the Bambini and the Juniors, there is more Russian kids inspired by Vitaly and all the ones that came early, and I think it’s good to have a mixture. And Cyril, your thoughts, especially just having run a Russian driver in FP1. CA: We have. And in addition to that, Renault has a very strong footprint in Russia. 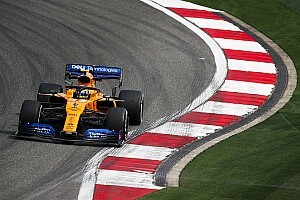 Russia might become one of the biggest and more important markets in the future mid-term plan of Renault, so it’s clearly a market that’s key for the future of the brand but there is no reason not to be also on the development path for Formula One. I guess for the rest it’s not really for us comment on any political aspects that goes a bit above this room frankly. Q: (Andrea Cremonesi - La Gazzetta dello Sport) Question for Cyril. I would like to know exactly what was the issue with the engine for Red Bull and McLaren and why did you decide to change the engines for those teams here. And for Toto, I would like to know if something changes in 2019 with the passage between Zetsche and Källenius? CA: Yeah, engine changes, lots of things said and written about that. Reality is a bit more straightforward. It’s simply the execution of a plan previously agreed with all stakeholders. In particular, with Red Bull. We had a driveability issue in Singapore in FP1, early into the weekend and, to a far less extent, in qualifying. But I think we have a very demanding user in the person of Max, and not very quiet also. But I think the team has done a great job in order to provide Max what was needed in order to have a good weekend in Singapore, it’s very clear. As far as the introduction of the previous-spec engine is concerned, again, that was part of the plan. The C-spec as we call it, is a good step, I think it is a good step that everyone recognises, that Red Bull has a clear step in power that comes also with a certain number of limitations. That was part of the plan to introduce, at a later stage, a B-spec. It’s a bit unusual in terms of pattern – but again it’s a pattern and a plan that was fully agreed, specifically on the request of Red Bull. And Toto, your comments on the changes at Mercedes next year. TW: Yes. Dieter and Ola Källenius have been strong supporters of Formula One all these years. Ola has been on the board of the team since a long time, has been running Mercedes High Performance Engines before, and was the managing director of AMG. So, we have a very good relationship with the two of them and Dieter is not leaving, he’s just taking a cool-off period and coming back into the supervisory board and Ola, obviously, as the new CEO provides stability for our Formula One project. Q: (Phil Duncan - PA) Toto, we’ve seen Lewis has arrived here off the back of two very impressive performances in Singapore and Italy. I just wondered if you could provide some insights into why you think he’s performing so well at the most and do you think this is the most complete and best Lewis that we have seen? TW: He’s certainly performing on a very high level. Singapore was definitely one of the best race weekends I’ve seen from him. I think he’s just in a good place. It’s been a while that we work together in Formula 1, that he’s been part of the team, and he’s become a very solid and reliable pillar within the team and in the car’s development. And generally, I think, without wanting to go into too much detail I think he is in a good place in his life and he enjoys racing. He enjoys the activities outside of racing and give him a good car and then he’s able to perform on a level that is unseen. Q: (Jonathan McEvoy – Daily Mail) Toto, Lewis said yesterday he had done work on how he works, or looked at how he works with his engineers this year. Is there anything that you have seen in how he goes about his day job, stuff that we wouldn’t ordinarily see that maybe has a bearing on how well he is doing at the moment? TW: What is impressive with him is the constant development and the search for the optimum performance, and this translates into every aspect of his life. It’s how the briefings are being down, how the interaction with the engineers happens, the analysis of his own driving. He’s the only driver I’ve ever heard saying, ‘I haven’t driven well, first we have to look at my driving and then we look at the data’. This constant drive for perfection happens every year and is, I believe, one of the reasons why he is such a complete racing driver. Q: (Andrey Kirsanov – Sputnik News Agency) My question is to Toto Wolff. As you know Saudi Arabia is preparing to provide its own Formula 1 driver. It’s a woman; her name is, as you know, Aseel Al Hamad. What do you think about her prospects for Formula 1 activities and what do you think in general for drivers for Formula 1 from Middle East countries. If anyone else wants to add something it would be great. Thank you. TW: Well, it was very interesting to see how Saudi starts to participate in motor racing activities. My wife was in Saudi a couple of days ago to launch the Formula E race that is going to happen on the 15th of December there and has been met very openly and I believe that with the country opening up for women driving in general it’s just a matter of time before we will see young boys and young girls from Saudi racing in go-karts and maybe making it into single seaters and Formula 1. CA: No, we had the chance to do a marketing activity with that lady at the French Grand Prix, offering her a drive around the track in one of our demo cars. She has done well. She had done some practice before that and it was happening the same day actually that women were given the licence in Saudi, so I guess it was a way to mark a milestone. There are very many more milestones necessary on a number of aspects but that was one milestone. Otmar, Mario, anything to add? OS: I agree with Toto. Q: (Dieter Rencken – Racing Lines, Racefans.net) Otmar, there is all this talk about Esteban’s career next year. You’re a team of two unconfirmed seats. Is there a reason why you don’t put him into one of your cars? OS: He’s a great driver, Esteban; I must start with that. He’s been with the team for a bit now and we know him and like him quite well and in due course we’ll announce our drivers. Q: (Julien Billiotte - AutoHebdo) My question is also for Otmar. Yesterday we learned that the Uralkali company is suing the administrators of Force india over the sale of the team to Lawrence Stroll and his consortium. Are you worried by the situation? Are you confident that the administrator can defend their case in court? OS: So I learned about it just like you did, I think I read Dieter’s story. We’re not involved at all, so that’s between Uralkali and the administrators, so from a team perspective absolutely zero worries. There is no involvement, so there is no focus on it whatsoever. Q: (Livio Oricchio – Globoesporte.com) My question is to Otmar. Did you ever feel anything concerning the new partners of the team, from the practical point of view, arrives money, you can develop more programmes? And what does it mean for the future? You could plan alright? For example, next season and next year’s project car if you have the benefit of more money arriving? OS: Yeah, we have to be careful that the ethos of the team doesn’t degrade. We still have to spend our money wisely, but for sure financial stability helps in this sport. I can give you some examples. This year our launch car, or our first race car, that we should have had in Australia, came in, I believe, Barcelona. Had we had the money this year, for example, our performance would have been much better, much earlier. And that we will not suffer from next year. As an example, you mentioned over the winter, we will be able to realise all our developments that we come up with through some experimentation, we’ll be able to put them on the car because of the improved financial stability and that will for sure help performance. Q: (Livio Oricchio – Globoesporte.com) What about the budget? OS: We are going through the budgeting process now, as we do every year, and we will increase that budget for sure, especially in capital expenditure. The team has lacked capital expenditure for quite some time. And then other areas of operating expenditure that will bring performance, we’ll have the ability to increase that too. But that budgeting process for next year is happening now and should finish around December time frame. Q: (Scott Mitchell - Autosport) Cyril and Toto, we know the engine manufacturers, while we are preparing for the 2021 engine regulations, have been keen to keep the MGU-H, but that was initially part of what the FIA and F1 wanted to drop. How is that situation progressing? Do you have an update on whether you will be able to keep the MGU-H and is that what you two respectively want? CA: I believe the FIA is still yet to confirm a package of measures and regulation changes for 2021, so I would not want to override their credibility on that. But I think what we can say is that most of the technical regulations are set and similar to the current regulations, but it is the way we are using the engine – with more fuel, more fuel flow, higher revs, more fuel also, in terms of allocation. That is also confirmed because we all accept that we need to do better, provide a better product for the show, for the fans, for the car – cars that are getting heavier and heavier – so we need more power, because it needs to remain a power-to-weight formula. I think where there is still quite a lot to be done is on the Sporting Regulations and financial discipline in relation to engines, so exact number of Pus, supplier obligations, possible dyno limitations. We are just kicking off that process, which is an important process, because all of that will really define the business model, which needs to be attractive at the same time for the manufacturers and for the customer teams. Toto, where do Mercedes stand? TW: Nothing to add; Cyril summed it up well. Q: (Dieter Rencken - Racing Lines, Racefans.net) This is a two part question regarding the 2020 onwards tyre supply. And that is that we now, for the first time since 2007, have two competitors for the tyre tender. 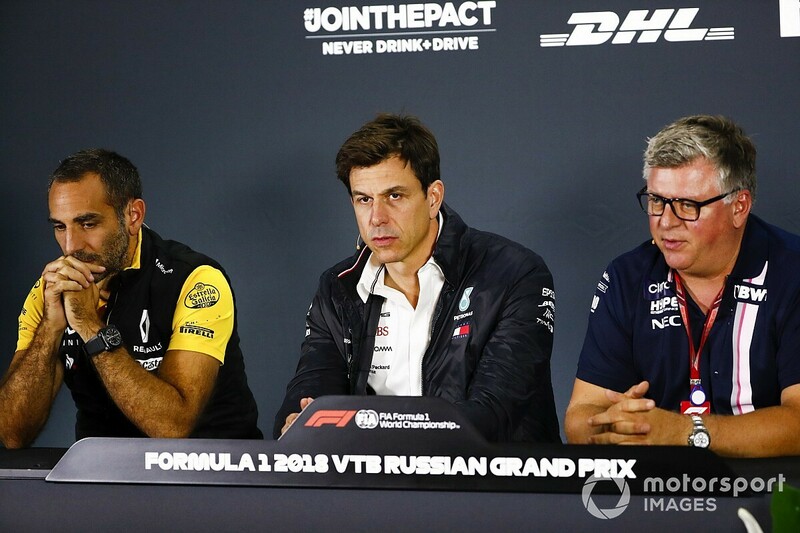 The three team bosses; are you in favour of a possible change to another brand with a different philosophy and Mario, how does this complicate your negotiations with Formula One Management? OS: Well, we’re obviously interested. We’re going to have to use the tyres. Pirelli have done a fabulous job for us and for Formula One and for that we have to congratulate them. Yeah, there are two people tendering and we’re happy to work with whomever is the winning bidder or the winning tender. TW: Like Otmar said, Pirelli has been with us for a long time and a stable partner. They have been given an impossible task that whatever specification we ask for and they deliver, it’s not as good as it should be so Mario has stood firm with the teams complaining. Pirelli’s a great brand and a pillar of the sport and that needs to be considered, obviously, and the teams have no say in that. It is a commercial and political decision that’s going to be taken by FOM. They need to look at the numbers, they need to look at the brand values and on the impact that a new tyre supplier can have versus the one that we know. I’d like to leave it with them, but we’ve worked with Pirelli really well over the past years. CA: Nothing to add really, on the tender process. 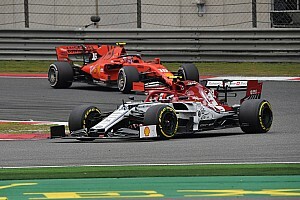 What I think is really important is to make sure to define what’s good for the sport, for the fans, for the show, for the mid-term future and really stick to it because as Toto has said, every single time we come up with a request and I think, in fairness, Pirelli has delivered but it seems to make us even more unhappy than the situation before. I think we are all complaining about the pit stop situation, the number of pit stops, optimum race strategy that is a bit straightforward, the fact that we need to drive very slowly on occasions and manage the tyres. 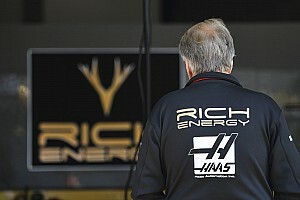 It’s true that there is no point in doing all the investment that we will be doing in new engines if we are still limited by another component, another factor, so that’s really important that we have a good thinking about that and that we give proper time to stability to Pirelli or anyone else to develop the right product. MI: As you know, we just finished the technical side of what is called phase one. We received confirmation from FIA that we are technically eligible to supply tyres for Formula One - it’s not a surprise, honestly - and now there is the commercial discussion with F1. There is no deadline for that so I cannot tell you how long it will last. They summarise very well what we did in the last eight years. We always tried to deliver what we have been asked to deliver. Sometimes it wasn’t easy, especially now you can see… Cyril was talking about pit stops and what is happening now but we know that if you add an extra pit stop to the strategy you lose 20 plus seconds. That means that you have to recover this time on track so there is a completely different approach from the teams compared to 2011, 2012 for example. They have to save the package, not only the tyres. That means that they try to plan a strategy with a minimum number of stops possible and this was clear, for example, in Singapore where the potential for the hyper soft was much higher so they could lap much quicker but the decision of more or less everybody was to save the tyres in order to plan a strategy with one stop - just have a look at the average degradation in free practice two that was more than 0.3s per lap and during the race was less than one tenth per lap and this gives you an indication of what is going to happen. How we can solve this is probably necessary to analyse the data from the first part of the championship and to understand which is the right direction in terms of the regulations and then we will see. CA: I think that any engine - you can ask to Toto - but I believe that it’s fair to say that any engine performs not as good at high altitude but I guess the power increase that we have seen would have been equal in a track like Mexico so no, I don’t agree with those comments in general. I think Max would focus on the car. But we do have reliability concerns and therefore it was clear that the engine introduced for Max would not have been able to do all the races so it was decided obviously to go to a different spec but again that’s going to the plan that I was mentioning before, agreed with Red Bull engineering department and not driving department. 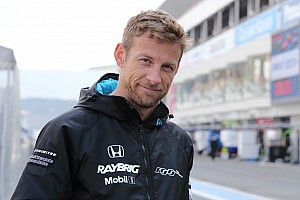 Then going back to your question about Honda, yes, well, frankly I’m worried about everything in general, in life, but in particular about a situation on the engine side. Honda, as we’ve seen since last year, it was already very clear, is making big steps, big gains. Red Bull has been very clear that they are investing massively, massively, probably and apparently much more than us which we are happy for Red Bull and Honda. Frankly we have our way to do things. We have a plan and we are executing that plan. It’s not just about arms race. We have all the aspects of the package to develop. No one is providing anything to us, either in the power train or on the chassis, so it has to be step by step. We are very confident in our upgrade for next year. We want to play the long term game. Q: (Jens Nagler - Bild) One question for Toto and one for Mario Isola. Toto, Valtteri yesterday said that he has a mind just to get on pole and to win here. Is he allowed, since the championship fight is still ongoing? And Mario, we’ve heard that there was a fire in the Haas garage last night, destroying two sets of Kevin Magnussen’s tyres. Have you already learned something, how that could happen to your tyres and how they caught fire? TW: The most important is that you accept that a driver will always want to be on pole and win the race and closing that perspective down, at the beginning of a race weekend, is certainly not something that I’m going to do. We take it step by step, see what happens tomorrow in qualifying. Hopefully he’s going to be very strong and put it on pole and then have a strong race and then we decide what the race situation is and the points situation. MI: Yes, there was fire in the Haas garage. It was because of malfunctioning of the blankets, or the control unit of the blankets and two sets of tyres have been damaged. We have already replaced them with the agreement of the FIA but nothing special. You know that teams are allowed to keep the tyres in blankets at a maximum temperature of sixty degrees for the slick tyres, so usually they keep the blankets (on) during the night and they are allowed to do that. Then it happened. Luckily somebody was able to extinguish the fire very quickly so the damage was very limited. Q: (Cesary Gutowsky – Przeglad Sportowy) Mr Szafnauer, yesterday Sergio confirmed that he is staying at Force India but there is no confirmation from the team yet so it’s kind of confusing so if you could explain the current status. OS: Well, we’ll… like I said earlier, we will make the announcement in due course and we’d like to announce both drivers at once. We don’t see a big need to hurry into it so you’ll know very soon. Q: (Dieter Rencken - Racing Lines, Racefans.net) Mario, getting back to my earlier question: I had asked how complicated it becomes now that you have a competitor for the commercial side of the tyre tender negotiations. Can you see it becoming a lot more expensive, Liberty putting greater commercial demands on your board in terms of income etc? MI: Our CEO already announced our position so I don’t want to add anything to that. There is a commercial discussion now. We have our position, we will make our offer and so I don’t know anything about a competitor. So it’s quite easy. Q: (Livio Oricchio - Globoesporte.com) Cyril, you’ve said at the beginning that the problem of Max is related to the way he conducts in the last race. My question is, as far as we understand, all the secure system of having the power unit today, the driver won’t be able to damage one engine or am I wrong? CA: I’m not sure I said that. What is true is that Daniel managed to find some work around, some way to drive around the limitation of the engine in FP1 in Singapore but anyway, it doesn’t remove the fact that we should have done a better job on having the right drivability for the two drivers in Singapore which is again something that we’ve done. There are always limitations in the way that you can simulate on the dyno, the behaviour that you will then experiment on the car. We don’t have the sort of very complex full car dyno to test the engine in its ultimate environment. That’s something we are looking at. We think it’s a bit unreasonable to have to invest in such equipment but if we have to do it, we will eventually do it. We would prefer that the FIA takes action not to encourage crazy investment like that but that we may be something that would have helped in the circumstances. Q: (Dieter Rencken - Racing Lines, Racefans.net) Cyril and Toto, there’s talk that possibly from 2021 onwards there could be some sporting restrictions on engines in terms of restricted dynamometer or simulation time etc. Are you in favour of this as a cost-saving thing, so it would be very similar to what we have currently on wind tunnel restrictions etc? TW: Yes, in favour. I think the ATR functions well on the aero side and if we find a sensible way to do it on power units and cap the ability of spend, it’s something which we need to do.